NO MEDALS FOR SECRETS is out now! Cover art by the amazing Julie Dillon! NO MEDALS FOR SECRETS serves as a stand-alone novel OR as part of the Poor Man’s Fight series. It’s listed on Amazon as book 4 to keep it in series, though in continuity it takes place immediately after RICH MAN’S WAR, making it book 2.5. The audiobook is in the works. Audible has expressed interest in doing an audio edition, so I’m only waiting on a contract. Next project up will be Tanner’s next novel. As always, thank you so much for all your support! YESSSSSSSSSSSSS!!!! (purchased) Big fan of your work sir! Whoo hoo! And just in time for a long plane trip!! Thank you!! Sweet a new book. I know what I’m doing this weekend. I just finished listening to Dead Man’s Debt for the 8th or 9th time and picked up on a number of things that I missed every other time, pain in the left shoulder, good job on building up on that one. One thing that I hope you put in for book 4/5 (whatever comes after Dead Man’s Debt) is that you give us the reactions of Tanner’s friends including Jeneka and Admiral Yo to Tanner’s adventure in Yuriel Shipyards. I really want to hear/read about that. I enjoyed the story, but must admit I missed TANNER! Looking forward to the next book where he features as the main character. Hey really looking forward to reading this one, but it isn’t available on amazon.co.uk yet? The suspense is killing me! I definitely set it to sell across all Amazon sites. It hasn’t linked up to my author page yet, though, so maybe they do that stuff all at once. I’ll look into it on Monday! Purchase today. Looking forward to burying myself in digital bliss. Congratulations on the release. Poor Man’s Fight is one of my favorite universes. Hope you find the inspiration and financial rewards to keep em’ coming. Any word on an Audiobook? 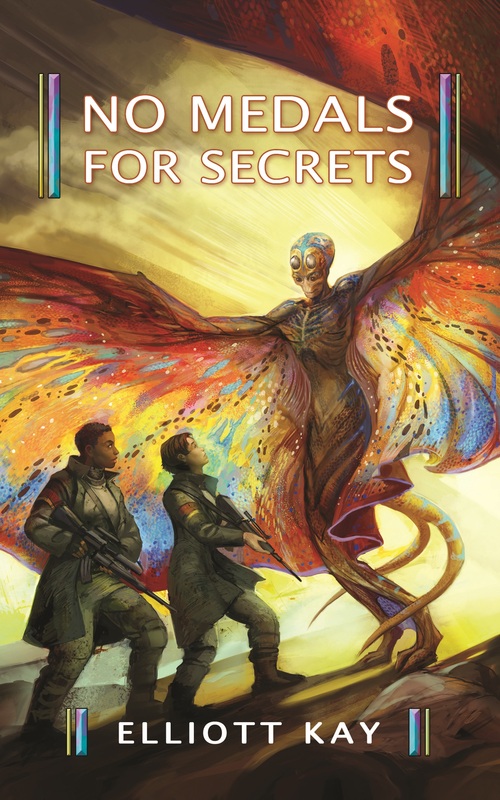 Excited to read an extension to the stories ‘secret missions’. Take my sincere “BZ” from one Coastie to another. May the Resolute ever sail…Fama Extendere Factis. at the risk of echoing another commenters thoughts elsewhere on this blog, are there any more stores involving Tanner Malone planned? Book 4 for Tanner is in the works now. I don’t have a release date yet, but I’m maybe 1/3rd of the way done with the rough draft now. Curse you, Kay. Bless you, Kay.